Read our helpful guide to second hand BMW 530. AA Cars works closely with thousands of UK used car dealers to bring you one of the largest selections of BMW 530 cars on the market. You can also browse BMW dealers to find a second hand car close to you today. 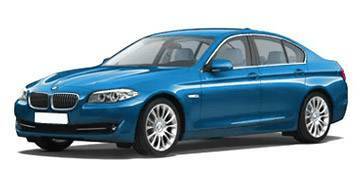 All used BMW 530 on the AA Cars website come with free 12 months breakdown cover. A car of exquisite class and poise, the 5 Series is for many the very best executive on the market. Spacious, luxurious, powerful, and lavishly decked out, it embodies all that makes BMW such an outstanding manufacturer. In the 530, a 3.0 litre engine presents an enviable mix of stupendous performance (0-60 in 6.3 seconds) and impressive economy (44.8mpg), which, along with its naturally ingrained luxury, make it an executive saloon which puts all others in the shade.